Wobage Workshops was established in 1977 by internationally renowned potter Mick Casson (1925 – 2003) and his wife Sheila. Sheila continues to make her salt-fired pots at Wobage. She owns and manages the Workshops alongside her son, furniture maker Ben Casson. 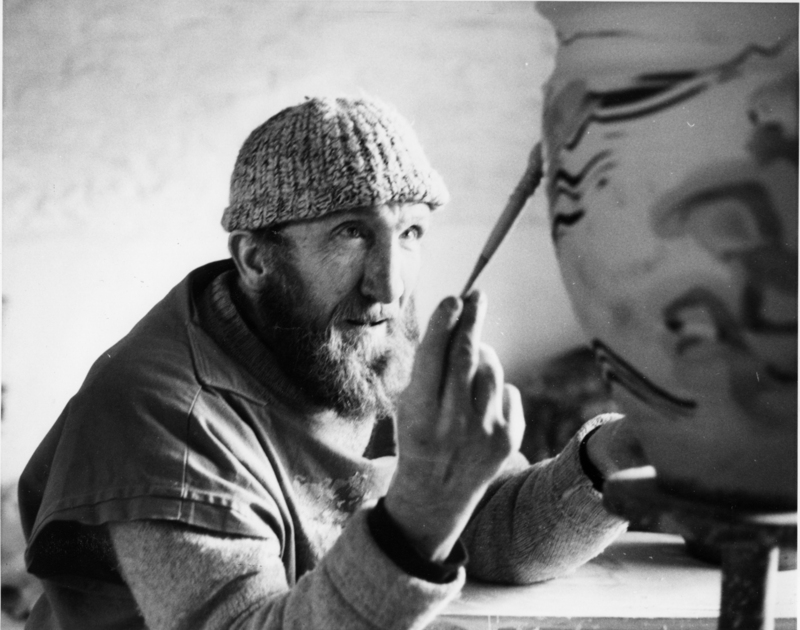 Pottery courses were first established at Wobage during the 1980′s, by Mick and Sheila and their son-in-law Andrew McGarva. For several years, their two week Summer schools and shorter courses were extremely popular, attracting potters internationally. The present-day line up of ceramics courses continue to attract amateur and professional potters, along with absolute beginners, nationally & worldwide. The current workshops and evening classes are designed and led by Wobage potters Patia Davis and Jeremy Steward. Further collaboration, tuition and demonstration is furnished by the other resident Wobage makers, along with a selection of invited guest potters, artists and designers. We are indepted to the Ceramics degree at UWIC Cardiff with whom Wobage has always had strong links. Each year staff select a suitable 1st or 2nd year undergraduate, to assist as well as participate in the programme of tuition, making and firing. Each course is designed individually, revolving around specific areas of production and student creative development. Dual emphasis is focused upon developing skills alongside experimentation and strengthening individual expression. Regular demonstration and visual presentation feature in each course, however, we aim to offer students as much time as possible for their own making. For directions to the workshops please visit the Contact Section.